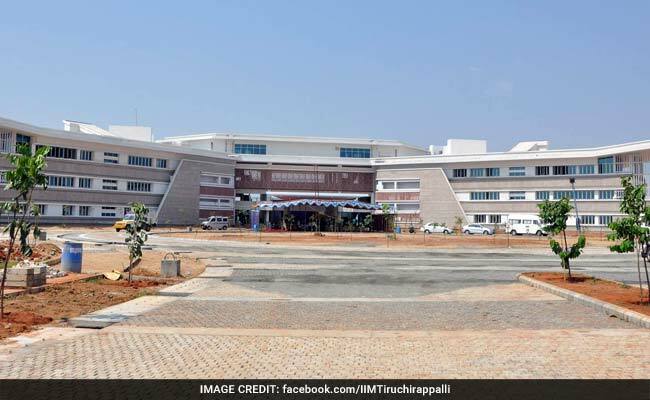 New Delhi: Union minister of Human Resource Development Prakash Javadekar inaugurated a state-of-the-art permanent campus of Indian Institute of Management (IIM) Trichy through video conferencing from Delhi on Monday April 3, 2017. Speaking on this occasion Mr. Prakash Javadekar congratulated the faculty of IIM Trichy for the timely completion of New Campus and expressed hope that best quality education in the new premises will be offered to the students coming there with promising dreams of a settled and secure career. The minister in his inaugural speech also said that in the quest for quality education and quest for continuous improvement in the quality of higher education and providing facilities for medical students, his government has opened 7 new IIMs, 6 New IITs, one New Central University and one new NIT. He also said that more than 104 Kendriya Vidyalayas and 62 Navodaya Vidyalayas are also opened in this government's tenure. The campus is spread on a sprawling 170 acres of land, 13 kilometres away from the Trichy International Airport and will be a class-defining campus. Technologically equipped smart classrooms, World class library, Elegantly furnished air-conditioned hostels, 24x7 Wi-Fi, Battery operated cars for differently abled, are some of its noteworthy features. Once fully complete, it will be self-sufficient gated community with a 2 Megawatt Solar Power Plant and 100% rain water harvesting system, which would make it a state of the art environmentally green campus. The union minister also accepted the invitation of faculty to visit IIM Trichy in near future. Indian Institute of Management Tiruchirappalli ranked 13 in the management category of latest NIRF ranking 2017 which was released yesterday.